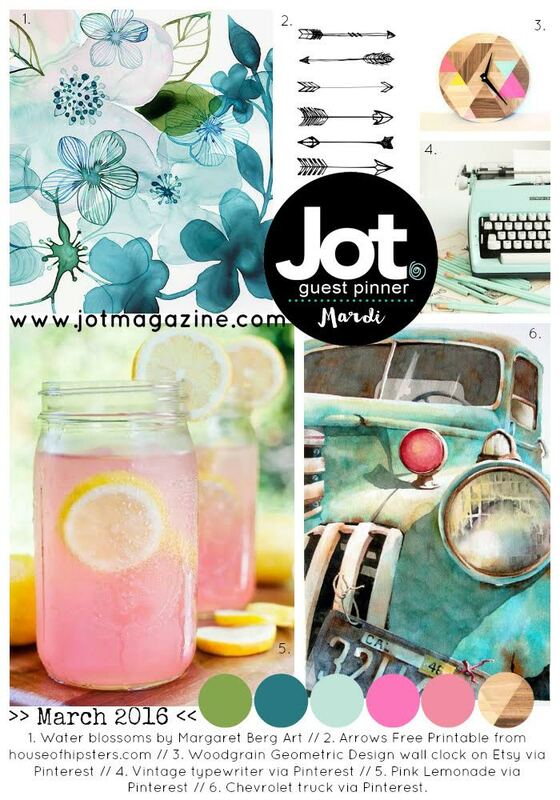 Guess who got to choose the Jot mood board this month? I went with a soft water colour inspired palette with a touch of wood-grain...and I couldn't resist a black and white graphic element... hence arrows. Details are on the Jot Blog! 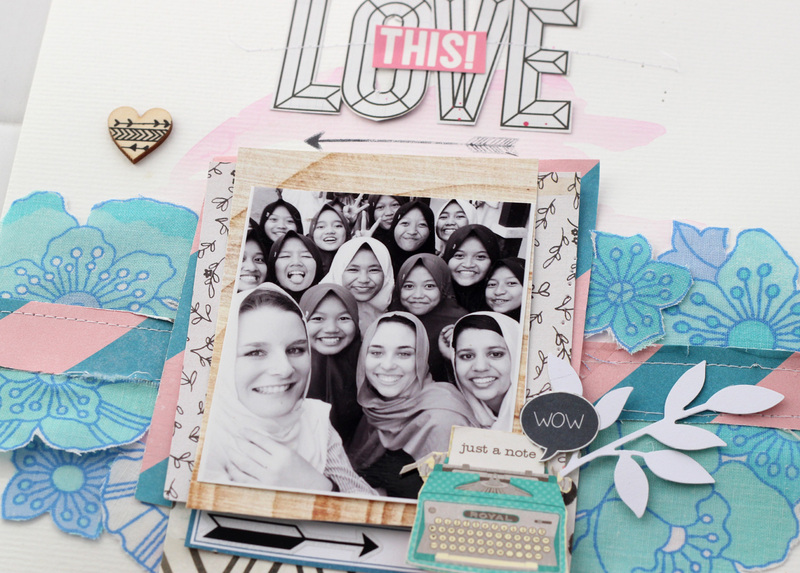 Lovely colours, I like the intense yet softness of the blues on your layout. I really like that typewriter.